 No one owns the hoop quite like Dinny Hall. A comprehensive edit of iconic, flattering & timeless hoop designs, our #HallofHoops are available in sterling silver, 22k gold vermeil & 10k solid gold. Read 'My Hoops' an editorial feature showcasing cherished female relations in their favourite Dinny Hall Hoops.